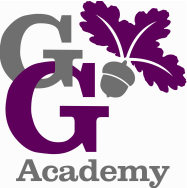 George Grenville Academy is part of the Bourton Meadow Education Trust (BMET). Established in 2013, BMET academies are a network of high-achieving, non-selective schools with a clear goal: to ensure all pupils, regardless of their background or prior attainment, have access to high quality educational provision. Based in the Buckingham area, we are a growing Trust focussed on servincertificate_of_incorporation.pdfg children within a close radius to ensure that community and collaborative working is achieved. The trust comprises of Bourton Meadow Academy, George Grenville Academy and Lace Hill Academy and Bourton Meadow Initial Teacher Training.